Baron Edmond de Rothschild bought Château Clarke in 1973 and there has been a lot of investment over the years here and the estate is now run by his son Benjamin. 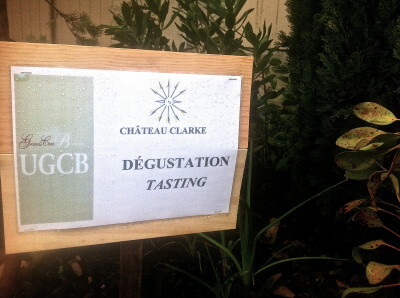 Château Clarke is named after an Irishman who bought the chateau in the 18th century. The wines are extremely well made but for me perhaps lack some of the flair of fellow Listrac properties Châteaux Fourcas Hosten and Fourcas Dupré. Vineyard/Terrior: 54 hectares on clay-limestone soils planted with 70% Merlot and 30% Cabernet Sauvignon. Average age of the vines is 25 years. Since 2001 grapes hand picked into small crates and transported to the winery. Winemaking/Elévage: Fermentation in wooden vats and wine moved by natural gravity to the lower level cellar. Ages in 60-80% new oak for 16-18 months.